Why did dinosaurs grow up so large? Dinosaurs and many other large animals lived during the Mesozoic era that stretched over from 251 to 65 million years ago. During that era the air contained more oxygen than now. Oxygen produces energy in a body by combining with food. So increasing amount of oxygen in a body means more energy which helps muscles and bones to grow will be produced. The amount of carbon dioxide in the air during that era was also larger than today and the climate was warmer too. These factors provide the best condition for plants to grow. 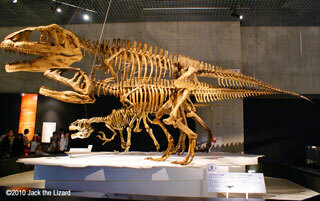 Then plant-eating dinosaurs could get enough food to build healthy and strong body. 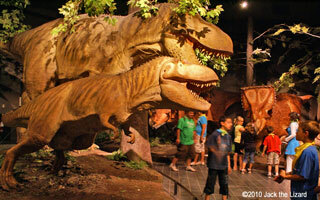 The carnivorous dinosaurs could also find their prey. 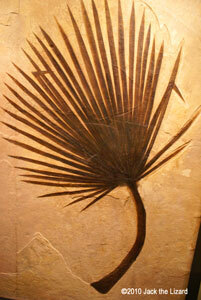 The fossil was found from the stratum of the Early Eocene (55 to 34 million years ago) Green River Formation in Wyoming. An elephant cannot be easily taken down by predator. 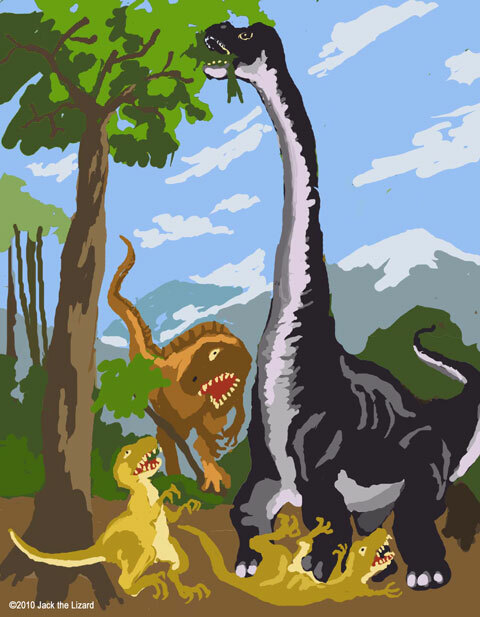 Probably it is difficult for Utahraptor to attack Brachiosaurus because of the size. So herbivorous dinosaurs might develop large body to protection. 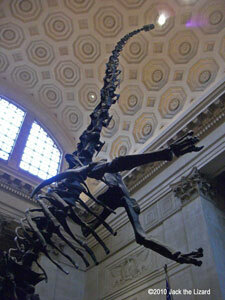 As the prey grow larger the carnivorous dinosaurs got bigger too. 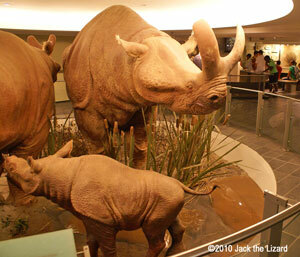 Ruminants such as giraffes and water buffalo have several stomachs to digest food. Large body could contain effective organs to slowly extract nutrition from food. 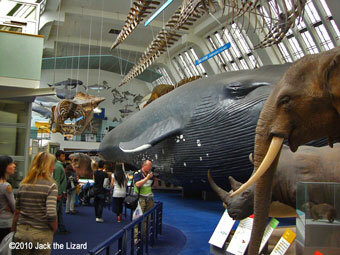 In addition it is easy for large animals to keep warm air in the body during the cold period of time. The fossile has the unique appearance which tells that the Maxakalisaurus was eaten by other dinosaurus or crocodiles after death. Fish, amphibian and reptile usually continue to grow as they get older. Although humans breathe large amount of oxygen, unfortunately or fortunately humans stop growing once they are matured. But there is the other interesting fact that the brain consumes the most of the oxygen in our body. So the brain of humans could be developed well when they breathe clean flesh air.